SHREWSBURY, Mass. 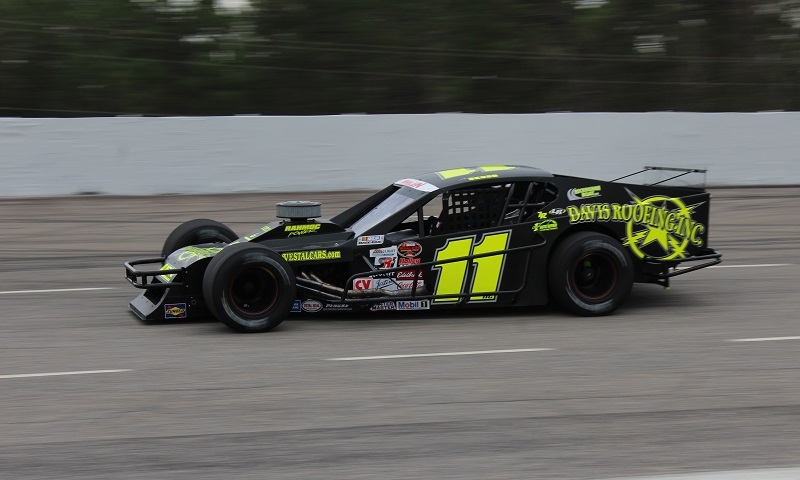 – NASCAR Whelen Modified Tour car owners Rob Fuller and Eddie Harvey have joined forces for the Bush’s Beans 150 at Bristol Motor Speedway on Aug. 16. Chase Dowling will drive a LFR modified in the race, his fifth NWMT event this season. Following a parting of ways between he and former driver Andy Seuss, Harvey had an opening in the No. 11, which is an LFR modified that Fuller built. Dunleavy, LFR, Vestal Buick GMC and Davis Roofing will sponsor the car at Bristol Motor Speedway. Dowling, a Roxbury, Conn. native, became the youngest Rookie of the Year award winner in NASCAR Whelen Modified Tour history in 2015 at the age of 17. In his three years competing in the NWMT, Dowling has secured six top-five and 17 top-10 finishes. Dowling has two races under his belt at Bristol Motor Speedway, which both resulted in Top-15 finishes. He came home seventh in his rookie year and was 13th last year.